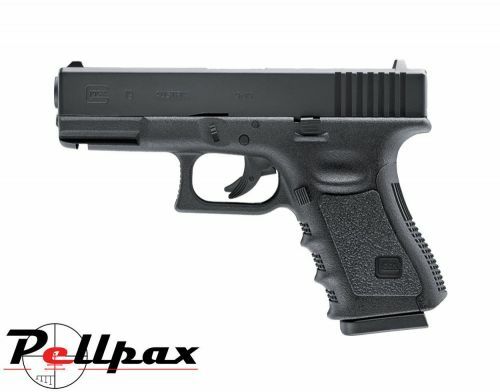 Made by Umarex, this CO2 pistol is fully licensed by Glock featuring the unmistakable looks and reliability of its predecessor. This pistol retains many features of the original pistol such as the all metal slide and unique trigger blade safety. The pistol also has a realistic weight of over 700g to help add to the sense of realism when firing. This pistol is chambered in 4.5mm and fires steel BBs with high accuracy and features a semi automatic action thanks to the pistol being powered by 12g CO2 capsules.